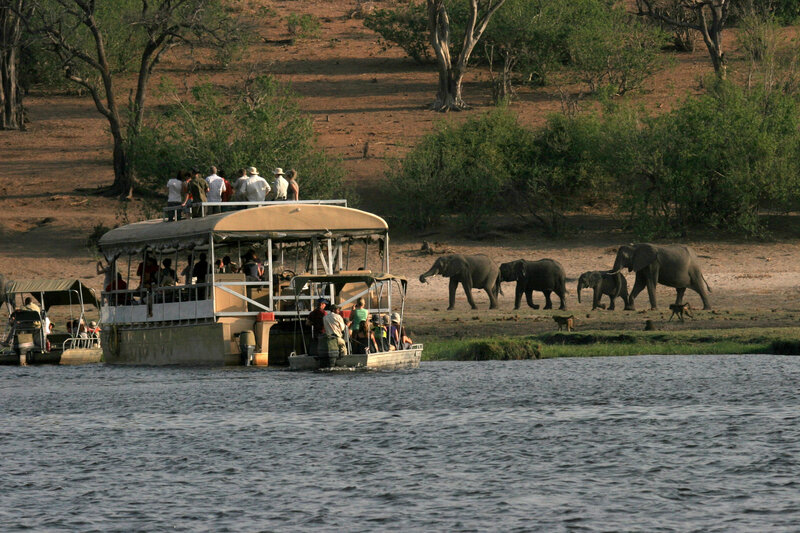 This African safari traverses most of the major attractions of Southern Africa. 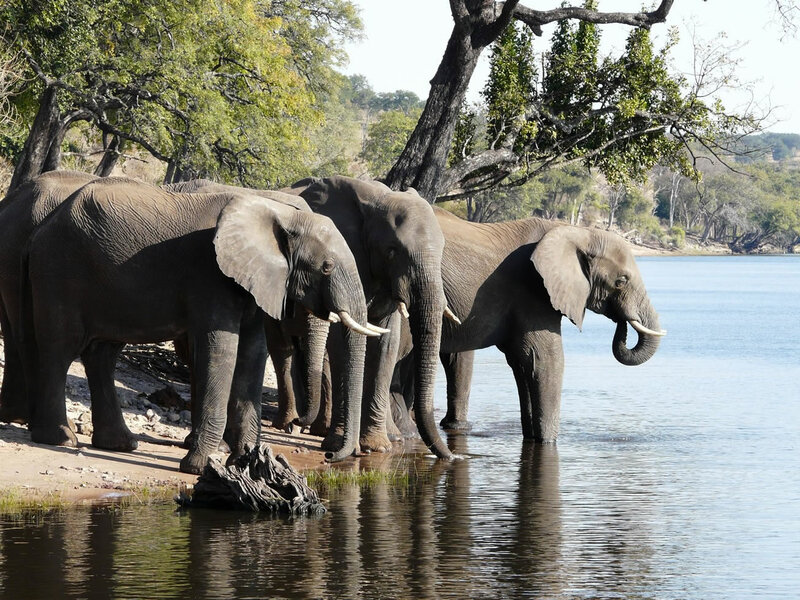 Accommodation is in 4 star Lodges or Hotels, travelling is in luxury 10 seater air-conditioned mini bus, max. 8 guests per tour. 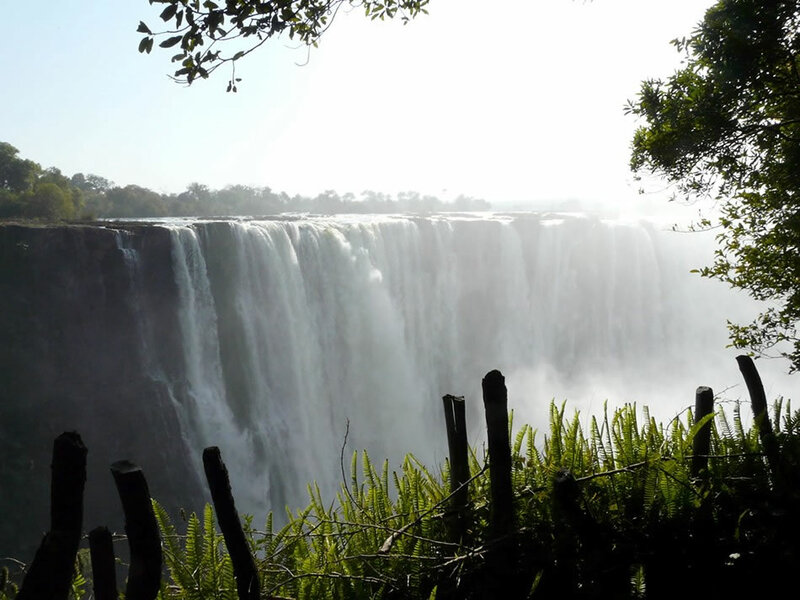 Included are the Victoria Falls in Zimbabwe. 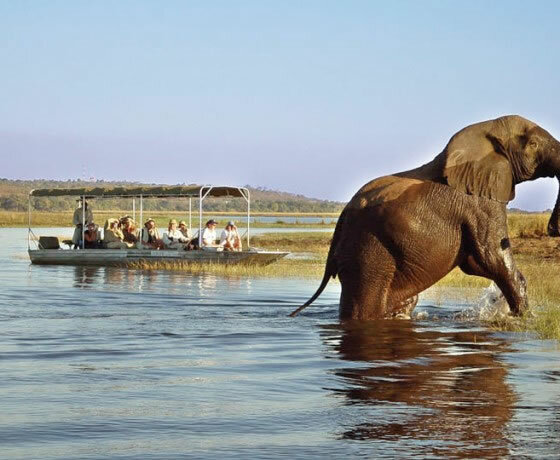 The Kalahari, Okavango River and Chobe in Botswana. 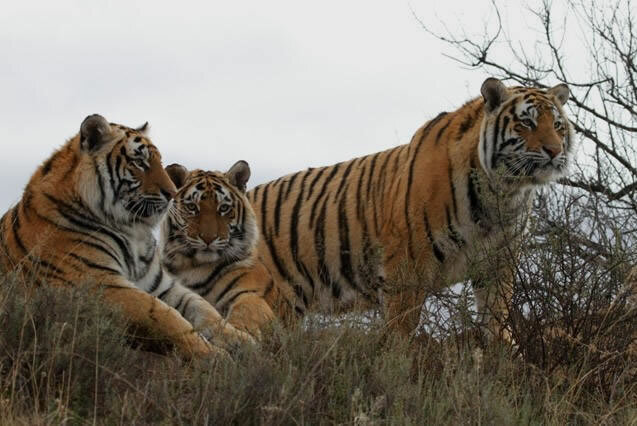 Etosha, Sossusvlei, the Namib Desert and Skeleton coast in Namibia and in South Africa the Blyde River Canyon, the Kruger Park and Tiger Canyon where the only free roaming tigers in Africa are! 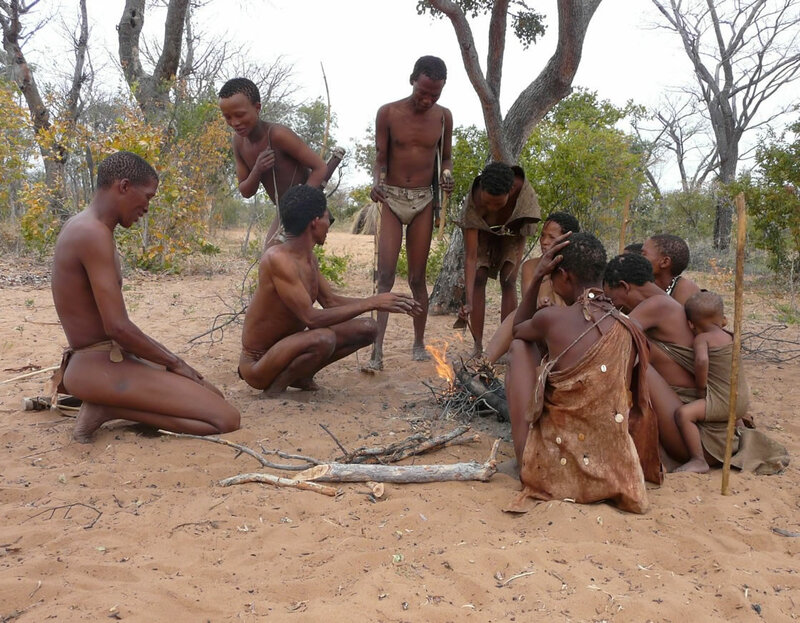 Cultural experiences include a visit to the hunter/gatherer Bushman, who will give us an insight into their bush skills, the nomadic Himba with the red oxide painted woman and the Herero with their Victorian dresses and the Zulu with their warlike dances. 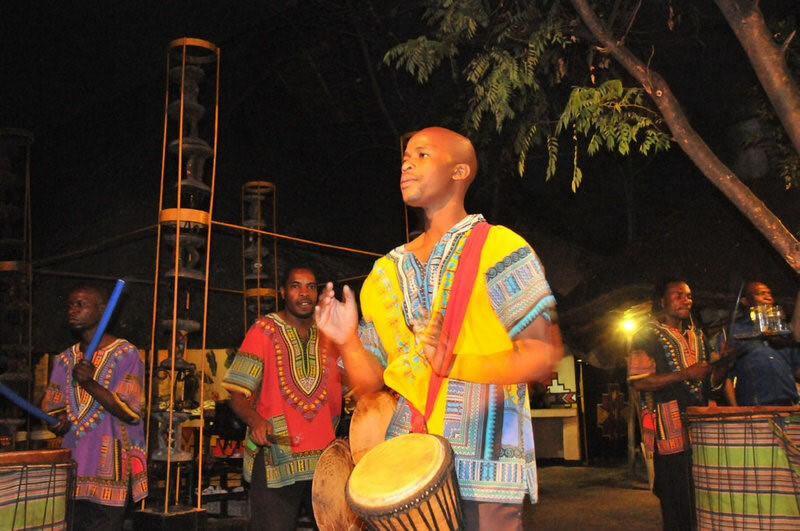 Various other ethnic groups are also encountered. 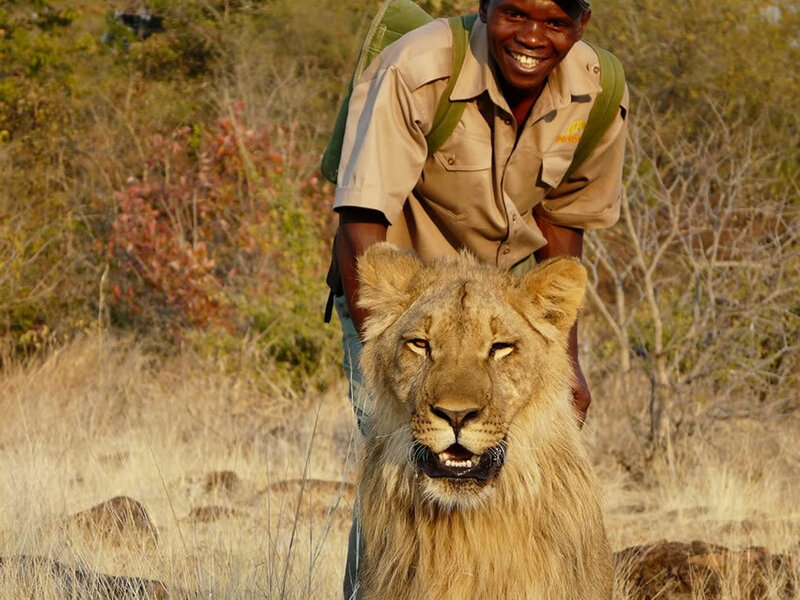 Walking with Lions in Vic Falls, flight over the falls, Mokoro (dug-out canoe) rides on the Okavango River, elephant back safari, flights over the Skeleton coast and hot air balloon flights over the Sossusvlei Dune Sea in Namibia are some of the unusual experiences. Arrive Johannesburg airport in the morning, after passing through immigration and customs go to domestic departures for you flight to Bloemfontein where your guide will meet you and transfer to Tiger Canyon about 2 hrs. away. 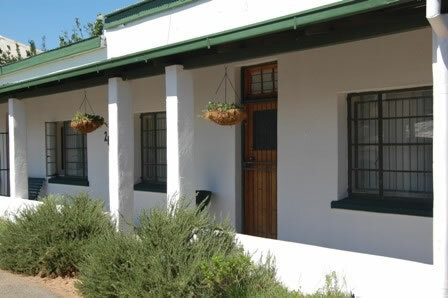 We check into Starry Nights country lodge in Phillipolis nearby. Dinner at the local restaurant. (BB). Early depart for Tiger Canyon to see the only free roaming wild tigers in Africa! After our game drive breakfast at the canyon. 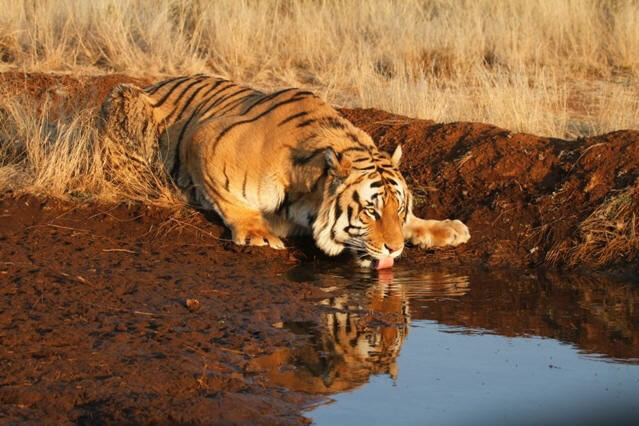 We return to our lodge and then return to Tiger canyon in the afternoon for another game drive with the tigers. Dinner at Tiger Canyon that evening. 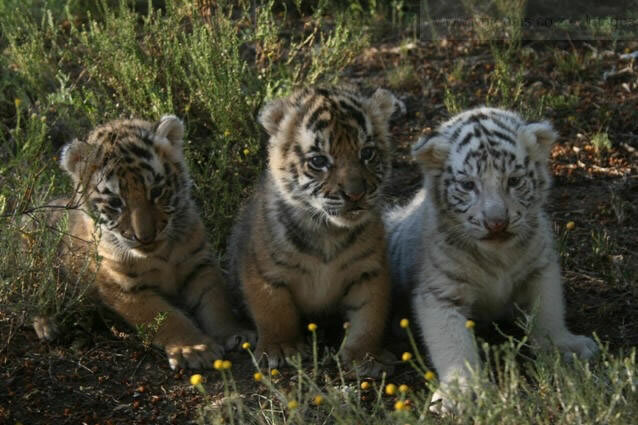 Before our tour there will be a full briefing on the tiger conservation program. (DBB). Breakfast at our lodge before departing for Bloemfontein and our flight to Johannesburg. Here we will transfer to our vehicle to depart for the Panorama. A coffee break at Dullstroom, a village depicting a by-gone era! We travel to Graskop on the Panorama route where we overnight at Eco-lodge on the outskirt of town. Dinner included. (DBB). 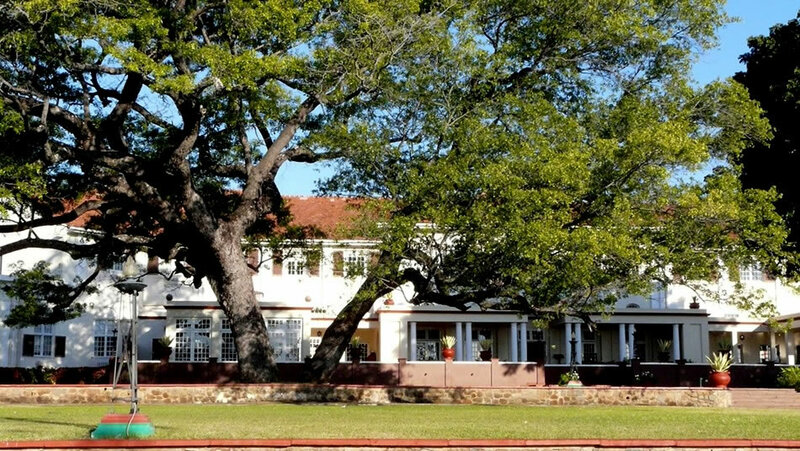 Depart after breakfast and visit the African Silk factory in Graskop, and then we travel to Wonder View, on the edge of the escarpment. Then it’s the ‘potholes’ and the Blyde River Canyon, the 3rd largest in the world! From here we descend the escarpment to the Lowveld and on to the Kruger National Park. We game view on our way to the lodge in Kruger. (DBB). 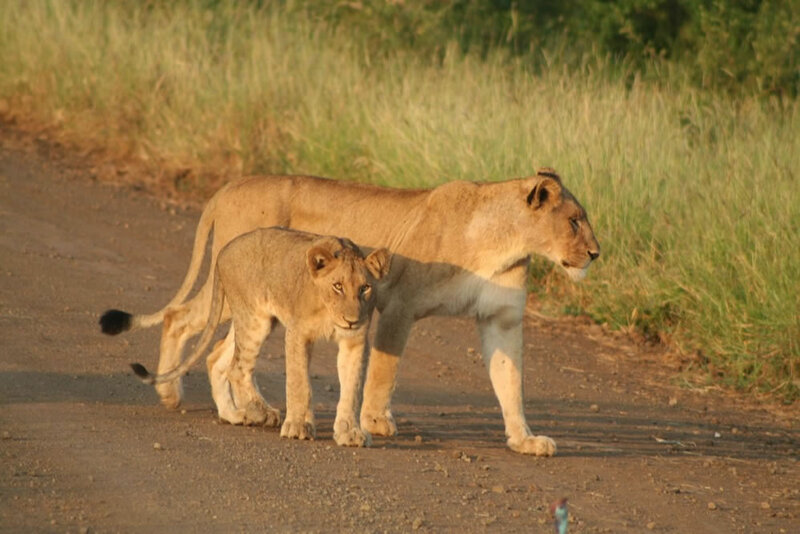 Early depart for a morning game drive, breakfast at one of the camps en route. 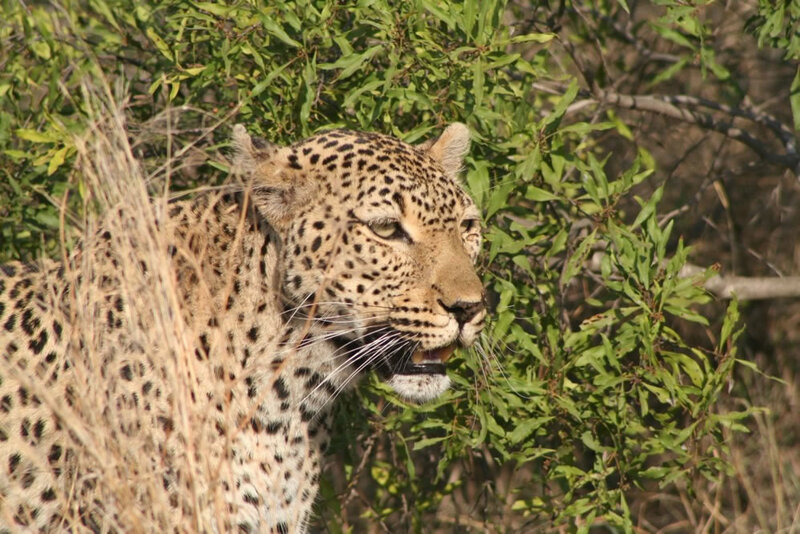 We return early afternoon to our camp and prepare for our night drive and bush Braai!! (DBB). Early depart from our camp, breakfast en-route. 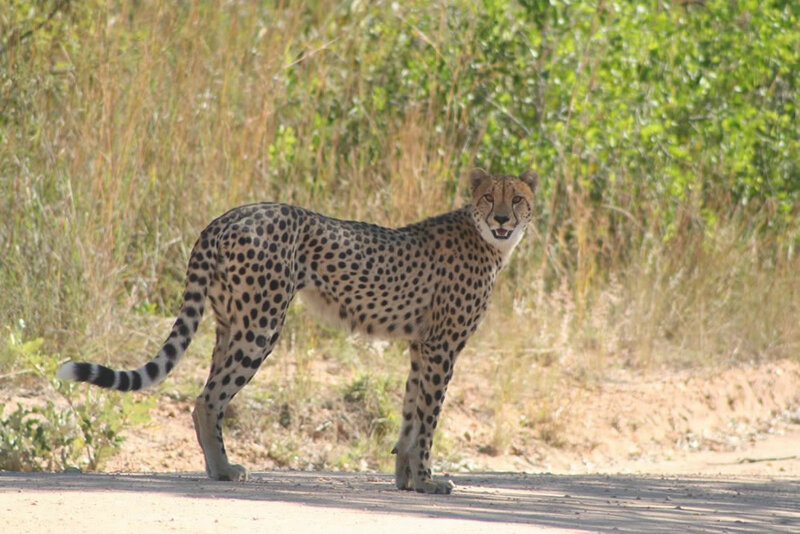 We stop at other camps inside Kruger before reaching the southern gate at Malelane in the afternoon. Here we book into a lodge on the banks of the Crocodile River which forms the southern border of Kruger. A la carte dinner for own account at the restaurant that overlooks Kruger! (BB). 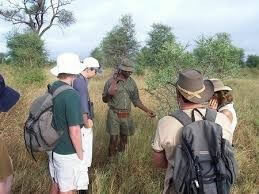 Early morning bush walk in Kruger with the rangers. 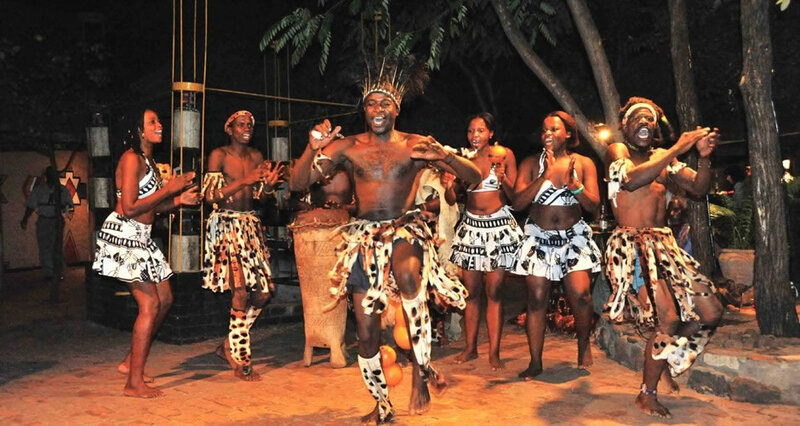 Return for breakfast and then leave for the Swazi Cultural village for some African singing and dancing! Around 1pm we depart for Johannesburg for our overnight. (BB). 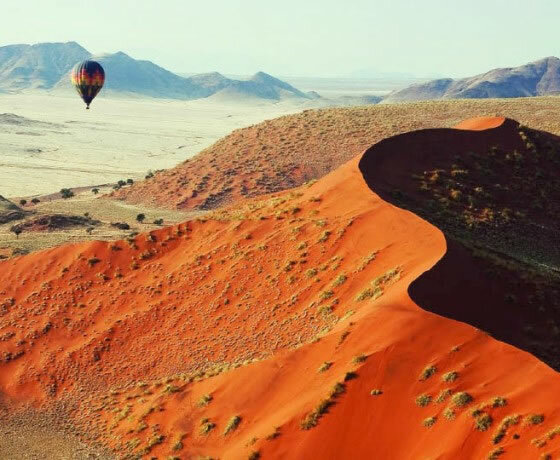 Depart Johannesburg for Windhoek on the morning flight (SAA 9.30) In Windhoek we pass immigration before departing for Solitaire via the ‘Spreetshoogte’ pass, a spectacular view over the Namib Desert! We continue our travel through the Namib to Solitaire for their famous apple crumble! Then onto the 4* Sossusvlei lodge on the entrance to the Sossusvlei dunes! (DBB). Optional Balloon Flight this morning. 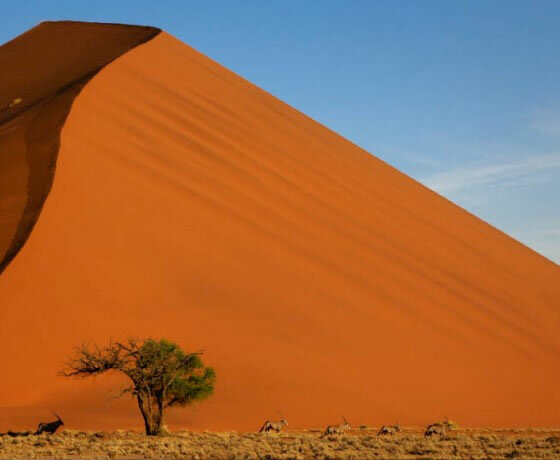 This is Namibia's famous highlight in the heart of the Namib Desert, Some of the spectacular hills of sand are, at a height of 300 metres, the highest in the world. Those not on the balloon flight will travel by vehicle into the dunes, with the opportunity to climb one! 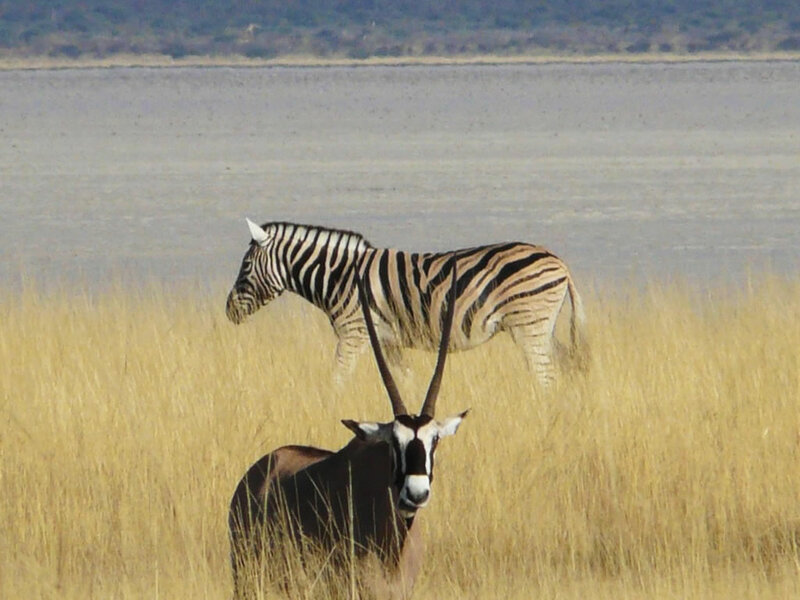 After our visit to the dunes we depart for Solitaire and then on to the town of Swakopmund on the Atlantic coast via the Kuiseb Canyon; we also might see the elusive Hartmann’s mountain zebra that lives in the Namib. Dinner at the beach lodge where we overnight. (BB). Today we visit Swakopmund for shopping and optional activities. Optional quad biking over the sand dunes, boat cruises to meet the seals etc. Dinner at the Tug restaurant in town. (BB). Depart Swakopmund after breakfast and head north along the skeleton coast before turning inland to meet the Bushman people. Here they will take us to view rock paintings estimated to be thousands of years old. We will also witness their bush skills and dancing. 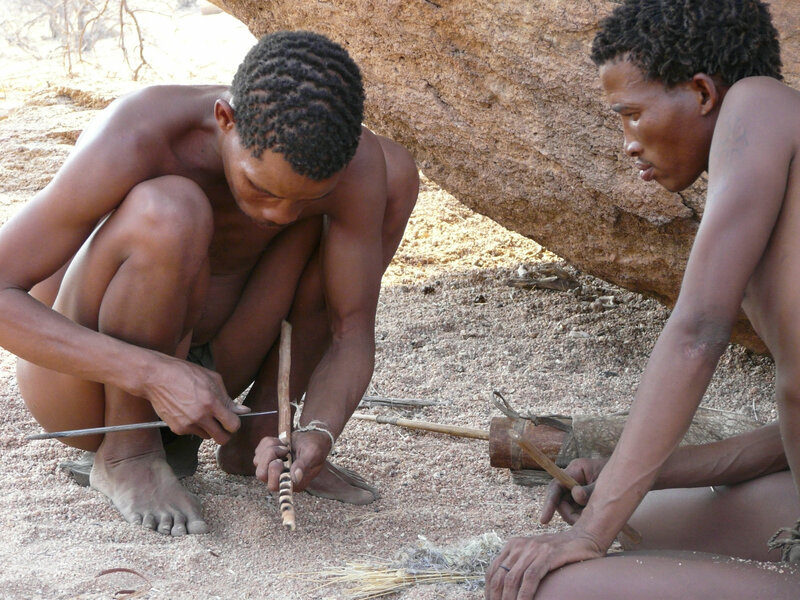 Sadly these people’s hunter gatherer lifestyle is fast disappearing. The afternoon we depart for Ai Aiba lodge, close to the Bushman settlement. (DBB). Early departure from Ai Aiba where we travel north to a Himba village where we will see this ancient nomadic culture. On route we will see the Herero woman with their colourful Victorian dresses! After our visit we head for Etosha and Toshari lodge. (DBB). 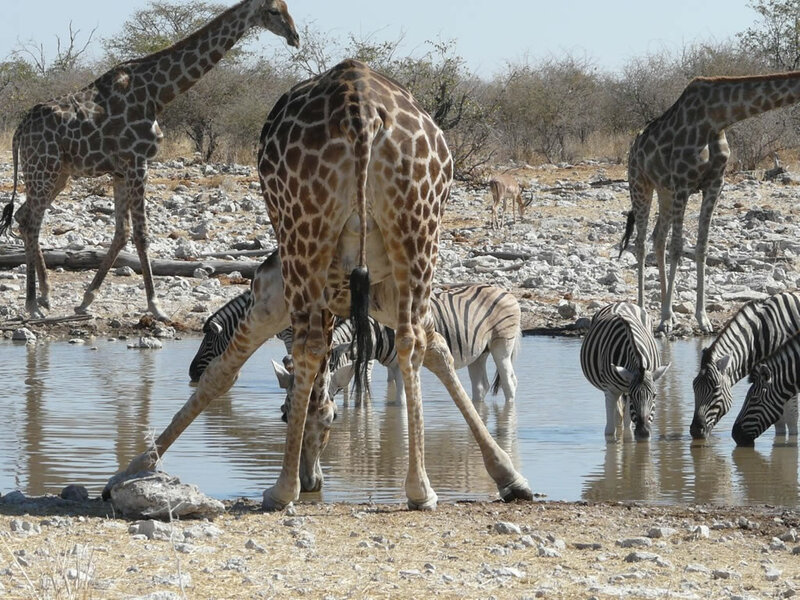 Today we visit the Etosha National Park, the same size as the Kruger Park, except Etosha has a huge normally dry saline lake that only partially fills after the rains. Overnight at Toshari lodge. Dinner at the lodge (DBB). 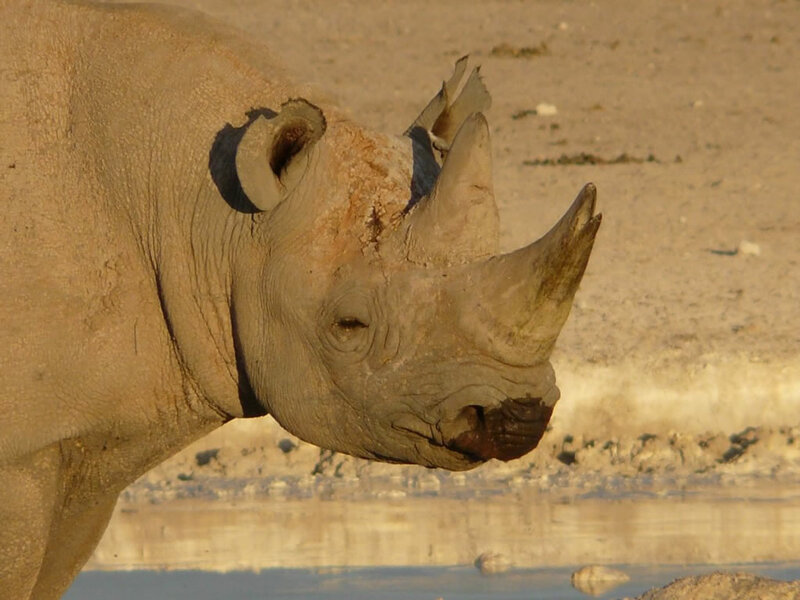 Another day game viewing in Etosha, we now head east for Namuntoni before leaving the park late afternoon, overnight at Mushara lodge (DBB). 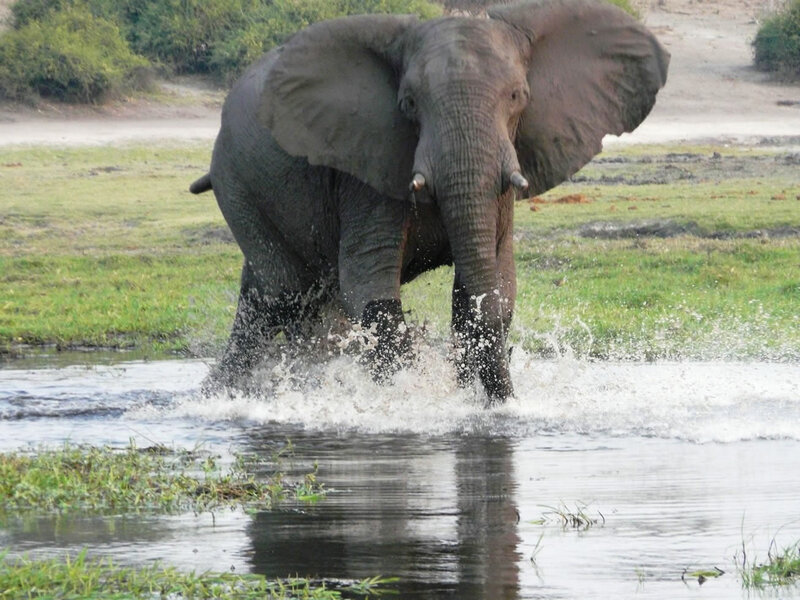 After an early breakfast we leave Mushara and head east for the Okavango River and Ngepi camp. 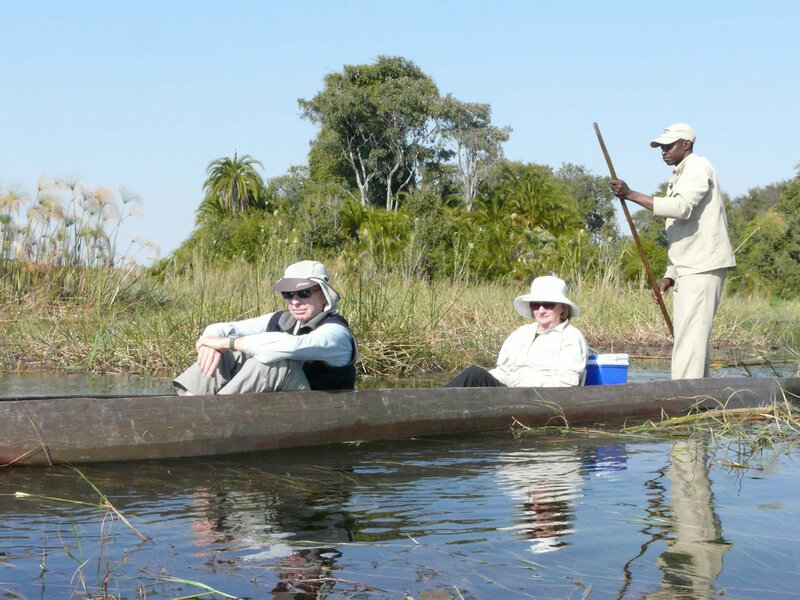 Afternoon boat cruise on the Okavango River. Overnight Ngepi camp in there tree huts!. (DBB). 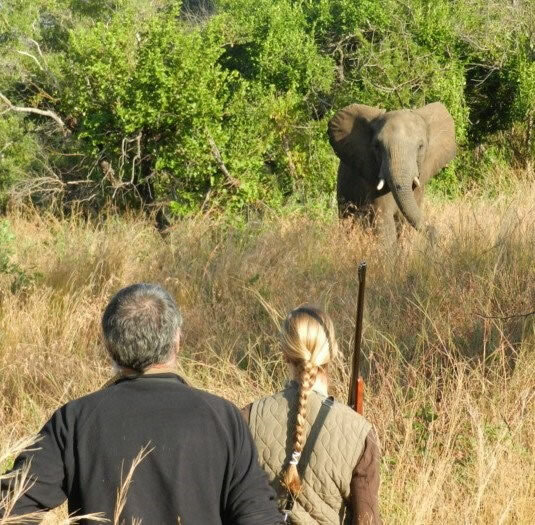 This morning depart for a half day on the mokoro, and then go on an afternoon game drive in the game reserve! Overnight at the lodge. (LDBB). 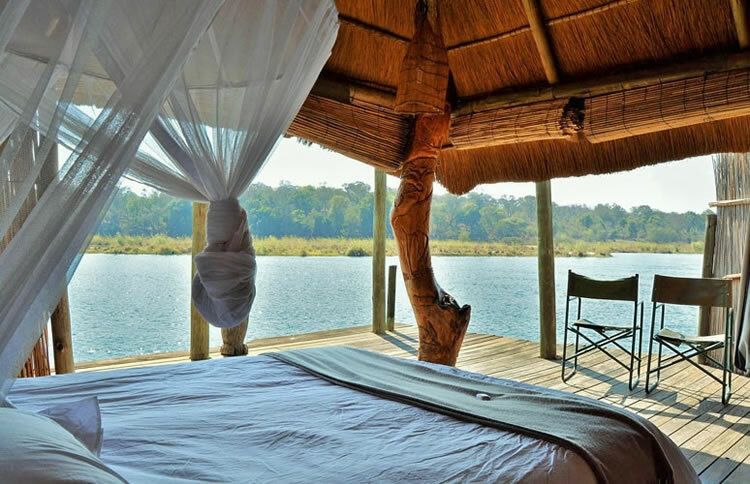 This morning we leave for Botswana, we arrive early afternoon in Chobe where we book into the Kubu safari lodge, on the banks of the Chobe River. (DBB). Breakfast before we depart for a full day game viewing by boat on the Chobe river. Light lunch ‘somewhere’ on the river. This cruise will take us much further than the normal boat cruises! Return to our lodge after sunset. (DBB). 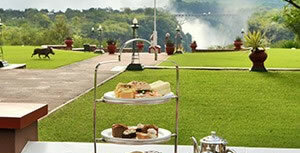 After breakfast depart to Victoria Falls, book into the famous Victoria Falls hotel. We visit the falls the afternoon. Optional activities available. Dinner at the ‘Boma’ restaurant (BB). 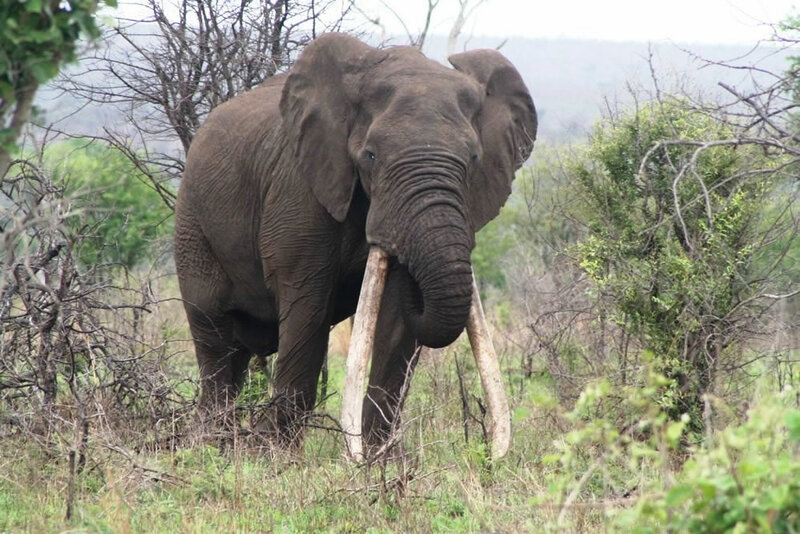 Early departure for the (optional) “Walk with Lions” /Helicopter flight or Elephant ride, return for breakfast then depart for your flight to Johannesburg. All accommodation & breakfast. Dinners as indicated. 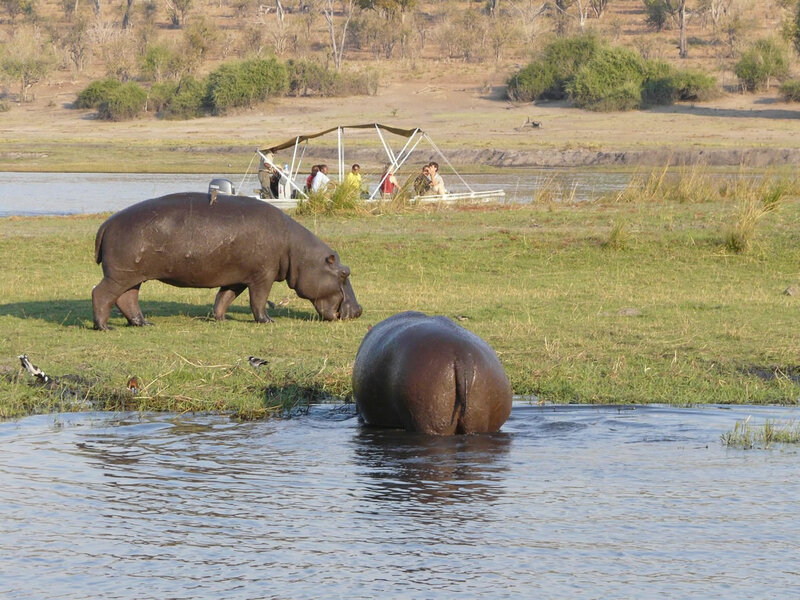 All land transport, entrance fees, guiding, excursions and Vic Falls. BB - bed & breakfast. LDBB - lunch, dinner, bed & breakfast. 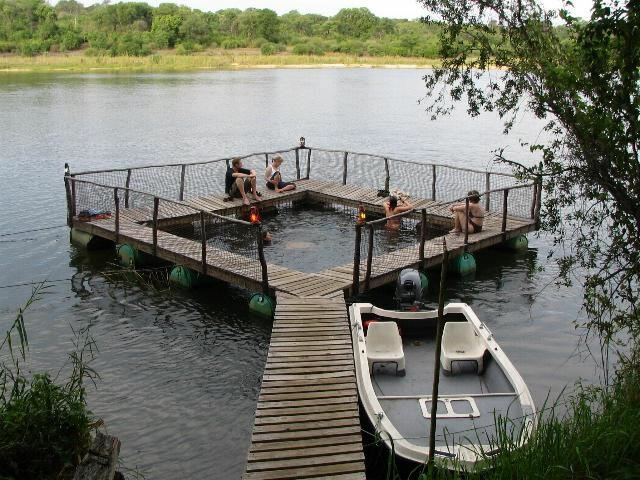 R 59900 per person sharing.